The Moscow Mule is a staple cocktail in bars and restaurants all across the world. 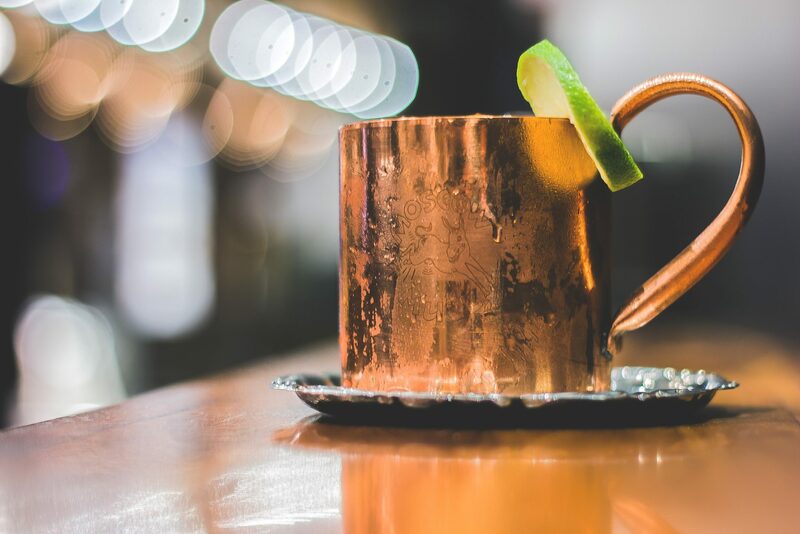 Infamously served in a copper Moscow Mule mug to keep it ice cold. It has a spicy and citrus flavor that you love to sip on over dinner. So where did this great liquid invention come from? Russia right? Not quite. Would you have guessed that it was originally created in the USA? A very confusing background considering the name and ingredients. But one thing is clear. This is a cocktail that can be enhanced from both a flavor and health perspective using kombucha! Most kombucha lovers have some form of ginger kombucha sitting in their fridge. Let’s put that kombucha to work! In this recipe we will show you how to fix a classic cocktail with a modern twist using kombucha. The Kombucha Moscow Mule. Be the talk of your next party and serve something different. Combine the vodka, ginger kombucha and simple syrup in your serving glass and stir. Squeeze the lime wedge and add to mixture. Both kombucha and lime juice have a sour flavor. Most prefer to use a bit of simple syrup to increase the sweetness to counter the tart citrus. If your kombucha still has a sweet flavor this may not be necessary.